I'm in a bit of a pinch right now. Although I know that buying things won't really make me happy but somehow I'm craving to get my hands on an Apple Macbook Pro 13! I have an urgent desire to get one and I know for a fact that I will indeed be happy if I get one. Do I need a new computer? NO. Do I have the money to buy one? NO. 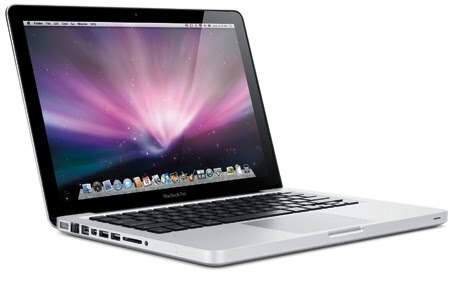 Do I really need to buy a Mac? NO. Logic and reason tells me NOT to get a Mac but my emotions and my psyche tells me to get one no matter the cost. I should have followed my instincts and should have bought something that I wanted rather than buying something that I thought was the best buy, a Dell Studio XPS 13. I know, this is like old news already because I've written about this in this post and on here as well but lately I've had a change of heart and I'm really pumped up on getting a MacBook Pro and I want to get one on my birthday as a gift to myself. The only problem now is the money... but I know I'll be happy and content after I bought it... I am such an impulsive buyer. Btw, I have updated your link. It was nice seeing you again Vncent.